OnePlus is getting ready for a new round of pre-orders for its One smartphone. The first attempt at a pre-order window took place on October 27, and it wasn't smooth sailing at all. Website errors kept many people from placing a pre-order, so the company promised to create a second window of opportunity in November. The date for that was already known - November 17, which is next Monday. 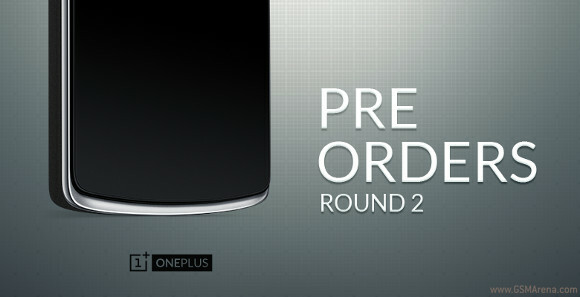 But today OnePlus shared more details about its next round of pre-orders. They will be open, once again, for one hour only, starting at 4 pm GMT (that's 8 am PST or 11 am EST). Like before, you can go to this address and prepare your pre-order by adding the phone to your cart, as well as entering your billing and shipping information. If you do all of this in advance, then come November 17 pre-ordering the handset will become a one-click affair. Pre-ordering will net you a place in line to get a OnePlus One (and you'll get a shipping estimate). Though if you get an invite before yours ships, you can use that and the handset will be sent to you immediately. You can also cancel your pre-order at any time, if you change your mind.